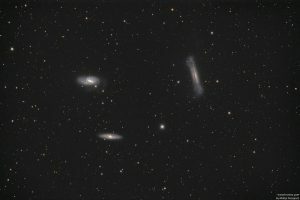 This small group of galaxies consists of the Messier objects M65 (NGC 3623) and M66 (NGC 3627) as well as the edge-on spiral NGC 3628. 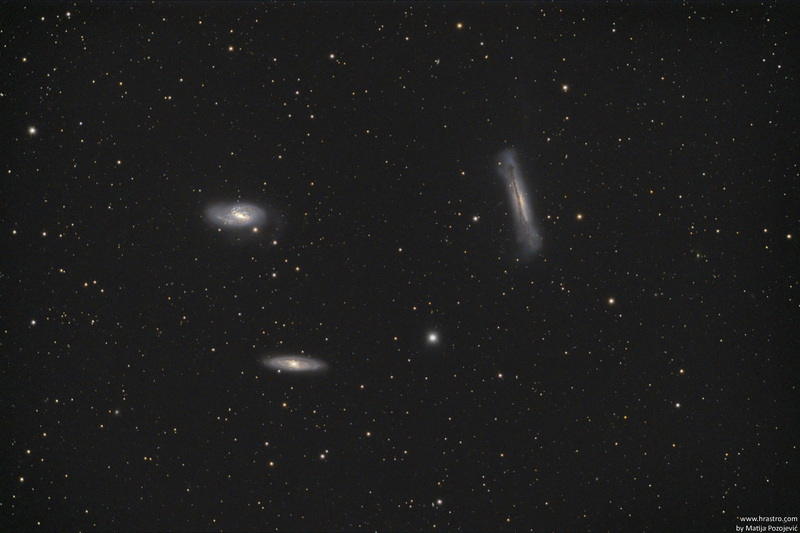 These three galaxies, the heart of the M66 group, form a beautiful and photogenic group which is frequently referred to as the Leo Triplett; Halton Arp has included this group as number 317 in his Catalogue of Peculiar Galaxies (M66 is also Arp 16). Lying at a distance of some 35 million light years, it is probably physically related to the M96 group.